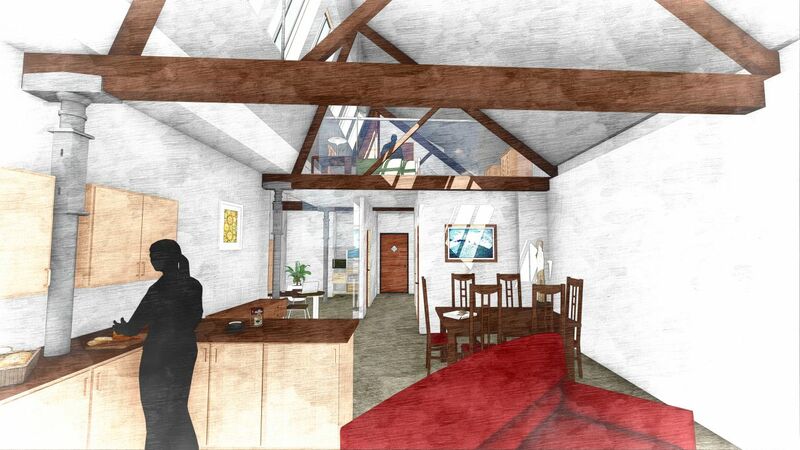 Planning permission and listed building consent have been granted for our scheme to convert Building V in Bradford in Avon to provide a mix of new apartments, office space and a ground floor retail, deli and dog grooming use. It represents one of the final steps in completing our award winning regeneration of the Kingston Mills complex in the heart of the town. Building V, as it was identified within the wider Kingston Mills development, was originally a weaving shed and then a rubber store. As part of this regeneration scheme, permission was granted for retail use of the ground floor vaults with offices above. Made in Bradford in Avon now occupies one of the three ground floor vaults and one provides a pedestrian walk-through. However, the rest of the building has lain vacant for many years now. It is a property that presented a range of planning, design and technical challenges, including listed building status and policy protection for employment use. It has therefore needed an owner and developer who understands the opportunity and the challenges and was acquired by our client, Building V Partnership, in late 2015. Following the acquisition, Nash Partnership was appointed to undertake planning and architectural work and alongside the client we have engaged extensively with stakeholders to forge a proposal that addresses the technical and planning issues and seeks to balance the competing aspirations of a range of local interests. 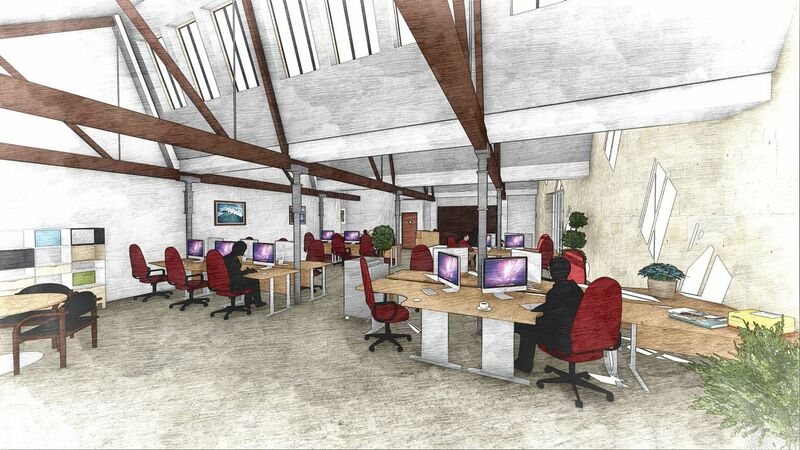 The approved scheme works with the distinctive character of the building to provide for Doghouse, a local business, to occupy the ground floor vault, and above this takes advantage of natural light entering through the saw-tooth roof to create a unique town centre living offer and new workspace.